Thailand is one of Asia’s most popular countries for expats. It’s safe, women can travel alone without problems, the cost of living is low, and getting a retirement visa is simple. But buying property is tricky. Foreigners can only buy condominiums freehold. You have to buy land and houses through a Thai corporation you set up first. It’s a big reason why so many expats in Asia rent instead of buy. Renting is easy, affordable, and sometimes the only way to live in a country. Plus, if you want to move on and try out a new place, you just pack up and hit the road. Many expats only stop to see Bangkok, Thailand’s top tourist destination, and settle down there. It’s a great city—but it’s far from the only choice available. If you like the beach, the seaside resort of Hua Hin is only three hours by car from Bangkok. This picturesque town has great shopping, cool restaurants, relaxing cafes, and fresh seafood that you can buy right off the boat. There is also hiking and camping, world-class golf courses, and beautiful beaches and islands on your doorstep. A 3,200-square-foot house, with two bedrooms, two bathrooms, a generous garden, and a carport, just 10 minutes from the beach, rents for just $395 per month here. One-year leases are the norm, but if you take a longer lease you can usually bargain for a lower rent—plus better furniture and appliances. Three- and six-month leases are rare and are usually vacation or high-season rentals, so you pay a premium. They also often have lower-quality fixtures and fittings. 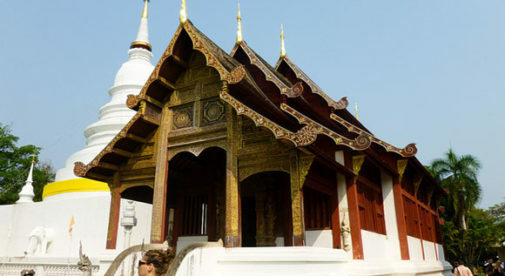 The northern city of Chiang Mai is also popular with expats and offers great value. A two-bedroom, fully-furnished, modern apartment in the center of town, with 24-hour security, all amenities, and city and mountain views, rents for $1,000 a month here. Too much? Just down the road, $400 a month gets you a furnished apartment with city views, 24-hour security, fitness center, and pool. The best way to rent a property in Thailand is to contact the real estate agent when you arrive and ask to see the property that interests you. If someone has recommended a property personally, you can agree to rent it via email, therefore securing it—but don’t pay a deposit until you have seen it.